As the human body needs a proper meal for nourishment in the same way education is needed for the nourishment of human mind.Education is the sole factor to the difference between animals and human. Historically, education in India only restricted to a certain caste that dominates the majority of the population. Alas, till the date things are more or less same. It is highly unfortunate that almost seven decades has come to complete after the enforcement of Indian Constitution but education has not become the national interest subject under the Constitution. In India, there are various kinds of boards and universities exist for primary as well as higher education level i.e. central, state, minorities and private or self-financing to established segregation or water type compartment among citizens. On the one hand, in the schooling system, there are International boards, ICSE board, CBSE board, states boards, minorities’ boards like Madarsa and Gurukul. Among all Kendriya Vidyalaya is the unique schooling system which is available only for the central government employees’ children. On the other hand in higher education, there are institute of national importance, IITs, IIMs AIIMs, NLUs etc., the central universities, the state universities, minorities’ universities, deemed universities and the private or self-financed universities. To control and regulate whole education system in India, there is a University Grant Commission (hereafter UGC) which comes under the central government, and the UGC is doing whatever the Central government wants to do. There is no single board for the school as well as the higher education level in India. The primary education is the foundation for the higher education and from primary level the State starts itssegregation’s policy through various modes. The condition of government schools is miserable and become to commodity that can purchasable. The condition of the higher education is more or less same. The scope of the public universities is shrinking day by day due to new economic policies of the State. The education budget is lesser than other things because the State does not believe that education is not a necessary for the development of the nation. For analysis the above situations, the questions arises here that who is responsible to make education a commodity, Constitution, industry or the State? These questions arise yet again in light of the controversy over the UGC notification of May 2016, and its implementation in various universities such as Jawaharlal Nehru University and Jadavpur University among others? The UGC last year in May 2016 passed a Regulation which has become controversial and its impact has been perceived as drastically negative on the researcher’s freedom to craft research areas as well as for undermining the autonomy of the universities and institutions. I suggest that that through the2016 UGCs regulation the State’s intention is to prohibit the down trodden peoples from acquiring the M.Phil and Ph.D degree and become the part of the mainstream. We may well ask why is the UGC through the new notification trying to cut the huge number of the seats of M.Phil and Ph.Dprogramme. Do the new regulations signal that on the one hand the State curbs the scope of public university to restrict the access of the down trodden communities candidates from higher education and on the other hand, the State promotes private education? Do we fully understand the effect of 5th May, 2016 UGC’s Notification on social justice which is guaranteed by the Constitutions of India? The preamble of the Indian Constitution guarantee to its citizen that the State shall be provide justice (social, economic and political) and equality of status and opportunity to all irrespective to anything. Article 38 of the Indian Constitution is direct to the State to secure social order for the promotion of the welfare of the people. Art 38(1) stated that “The State shall strive to promote the welfare of the people by securing and protecting as effectively as it may a social order in which justice, social, economic and political, shall inform all the institutions of the national life. Article 38(2) stated that “ The State shall, in particular, strive to minimise the inequalities in income, and endeavour to eliminate inequalities in status, facilities and opportunities, and not only amongst individuals but also amongst groups of peoples residing in different areas or engaged in different vocations. That means it is the fundamental obligation on the State to make such laws accordance with the sprite of the Constitution which ensure justice and opportunity to all, but the State fails to fulfil its positive duty towards the Constitution as well as its citizen. The State on the one hand promotes and established the private education and on the other hand shrinks the scope of public education due to reduction in funding, by not recruiting faculty and now reducing or freezing intake in the M.Phil/Ph.D programme. These disadvantage groups are neither able to “purchase primary” education from private schools nor are they able to access public university due to limited seats available. The State is under threat from the voices raises by these socially and educationally backwards students’ communities after acquiring the higher education from public universities. Therefore, it is the last weapon in the hand of the State to stop marginalised populations for not entering in the higher education. This may be the reason behind the low budget of the education in India that in the State’s priorities the concept of spending money on education is a concept of waste of money. To acquire the higher education in private institutions is not less than a day-dream for the majority of the population (historically disadvantage groups i.e. SC/ST/ OBC/women and minorities) and the last hope left in their hand that is public universities which is equal to the private education. Section 10 of the UGC 2009 Notifications allows the intergraded M.Phil-Ph.D Programme i.e. “The Admission to the Ph.D Programme would be either directly or through M.Phil Programme. Contrast this with the 2016 Notification.In 2016, the UGC does not mention a single word about the intergraded programme thereby indicating that the UGC totally undermines this unique programme through a Regulation. Unlike the earlier Regulation, UGC 2016 alters the entrance test in a manner that will decidedly exclude the marginalised—most students, especially in marginalised areas, are not taught methodology. Infact, UGC 2009 cherished the hope that methodology will be taught at the MPhil level, now it is expected that MA students should be well versed in methods to qualify for an MPhil! Even more insidious is that the provision for viva, which the JNU administration first insisted was to 100%, and following protests supposedly changed it to 20%, with 80% for the written marks, makes a mockery of the question of access to higher education. For, if a candidate does not qualify an OMR test, the candidate won’t be able to write the descriptive examination. This interpretation by JNU — an alteration of the admission policy—that has not been approved by the Academic Council yet, has been perceived by students as a potent way by which students, especially those marginalised, will not be able to qualify even if there were “vacancies”. Section 3 the Central Educational Institutions (Reservation in Admission) Act 2006, allows the reservation in the Central Educational Institution.Section 11 of the UGC in 2009 clearly mentions that the Universities and other institutions will pay due attention to the national/State Reservation Policy. That means the UGC talks about particularly CEI Act 2006 which is undemocratically ended by the 2016 Notification by limited or cut the seats at large scale.The Act mentions that out of the annual existing permitted strength in each branch of the study or faculty, fifteen per cent seats shall be reserved for the SCs, Section 3 (i), seven and one-half per cent for the STs, Section 3(ii), and twenty-seven per cent for the OBCs, Section 3(iii).Section 5 of the CEI Act stated the mandatory provision for the implementation of the reservation policy which mentions under section 3 of the Act. On the contrary, the 2016 Regulation mention that the national level reservation policy will applicable in the admission process but the question arise on the intention of the State that neither the vacancies of Faculty fulfil nor the seats available for the research then how can the object of CEI Act 2006 will be fulfil? Is there not a conflict between CEI Act and UGC’s 2009 and 2016 regulations? The UGC 2009 regulation makes mandatory provision to extent the existing seats/vacancies with the SC/ST/OBCs reservation but on the contrary 2016 regulation curb the seats/vacancies for the M.Phil and Ph.D. If the seats are not available then what will be benefit of CEI Act 2006? The 2009 UGC’s Notification allows great autonomy both the Faculty Supervisor as well as the student as mentions in section 12 of the Notification that “The allocation of the supervisor for a selected student shall be decided by the Department in a formal manner depending on the number of the student per faculty member, the available specialization among the faculty supervisors, and the research interest of the student as indicated during interview by the student. The allotment/allocation of the supervisor shall not be left to the individual student or teacher. The choice/interest of the researcher must not be compromise in research. For example if in particular center/department, the particular Faculty who has expert in particular subject but has already maximum candidate for supervision for next 4-6 years, then what will happen with new researcher who wants to research under that particular supervisor? In that situation not only the student deprived her research which she has interest but the ultimate loss goes to the nation. It will be the pathetic condition if the plants will not get proper water and the gardener hope for the fruits. It is absolutely not justified and it leads to injustice for the future of research in India. If the 2016 UGC’s regulation applicable the essence of the research in India will be compromised. Is UGC’s Notification Arbitrary and Unreasonable? A Research Supervisor/Co-supervisor who is a Professor, at any given point of time, cannot guide more than three (3) M.Phil and Eight (8) Ph.D. scholars. An Associate Professor as Research Supervisor can guide up to a maximum of two (2) M.Phil and six (6) Ph.D. scholars and an Assistant Professor as Research Supervisor can guide up to a maximum of one (1) M.Phil and four (4) Ph.D. scholars. It shall be the general duty of the Commission to take, in consultation with the Universities or other bodies concerned, all such steps as it may think fit for the promotion and co-ordination of University education and for the determination and maintenance of standards of teaching, examination and research in Universities, and for the purpose of performing its functions under this Act. Though, the UGC has expert members but how can the UGC free from influence of the central government? It is serious question which required answer from the UGC as well as the Government. In a democratic country every single decision which affects the public at large even the future of the country must be taken by the democratic process. It is the duty of the State to secure justice and make every single stake holder directly or indirectly in the process of any decision. Neither the State nor the UGC have absolute power do whatever they want to do. It was the UGC’s duty to consult with the universities before taking such step. In Ajesh V.V. 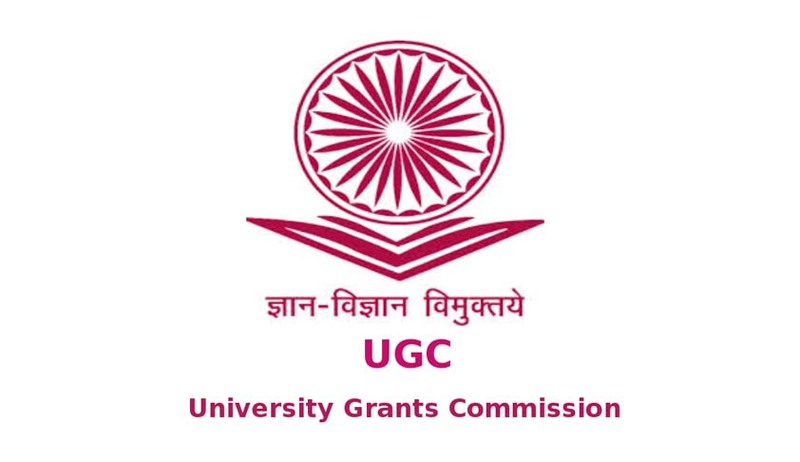 Varapuzha House vs The University Grants Commission, the Supreme Court of India held that the UGC has statutory power to frame any Rules and Regulation under section 26 of the UGC Act, 1956. The Court held in para 21 that “If any interference is made to the guidelines issued by the University, it will amount to dilution of the 2009 Regulations which is not permissible and the Courts cannot take a different view from what has already been stated”. The apex court apply its hands offs approach in University Grant Commission & Anr v Neha Anil Bobde (Gadekar) CIVIL Appeal No. 8355 of 2013. JNU administration adopts UGC’s 5th May, 2016 Regulation in its 142nd Academic Council Meeting with undemocratic manner and not consulted with the whole member of the AC Meeting. The JNU administration did not follows the JNU Act while trying to implement the UGC’s 2016 Regulation. In 141 Academic Council meeting the UGC’s Regulation not discussed in democratic manner by the JNU Administration and neither this Regulation circulated to the Schools and Centres for comments and suggestions before adaptation of the Regulation. There are two highest level committees in JNU, first Academic Council (Academic Body of the University), and the second Executive Council (Executive Body of the University). The Academic Council has two parts (A and B), part A include the student representative body with the Faculties, who elect by the election and have statuary rights under the JNU Constitution to participate in AC Meetings when the policy matter discuss about admission and reservation at the university level. The part B of the AC includes the Faculty members and representatives of the elected members of the JNTA.On the other the student body have no right when the matter discuss relating to (a) faculty positions, requirement, conditions of service and academic freedom; (b) the issue relating to actual process of evaluating the academic preference and merit of the students. Surely it is a matter of pride that students have this statutory right and exercise their academic freedom without fear or threat. Very few universities, if any, concede such rights to students and we, as faculty are privileged to learn from our students how to make our university an inclusive, equal and dignified experience. This is an on-going process—and we have much to learn from our institutional history. In the JNU Act, the AC only has rights to make Ordinance on matters relating to academic and the EC (Executive Committee) must approved the Ordinance which is deliberately decision taken by the AC. The AC also has a power to requisition an AC meeting if the EC passed an Ordinance beyond the JNU Constitution, and the Visitor have the power to annul EC proceedings. In the 142 AC meeting, the minutes of the 141 meeting were passed amidst protests by members of the Academic Council. From accounts of colleagues in the AC, we learnt that the minutes were cursorily called out, as “passed, passed”. Students who protested were suspended and teachers who were issued a collective show cause notice, following the JNUTA’s call for a one‑day strike. The show cause notice raised the spectre of CCS Rules, and five teachers were subsequently threatened with enquiries for making speeches on the adverse impact of the UGC Act evoking an inapplicable 20m rule, which proscribes where certain kinds of protests can take place. By the undemocratic attempt of the JNU administration, constitutionally validity of the JNU Act, Academic Council, JNUSU, and JNUTA become null and void. The JNU administration, by pass the whole process which is violated the JNU Act and surrenders JNU’s autonomy before the UGC’s Regulation. The JNU administration uploads two tables of the existing research scholar and Faculty Members. The administration did not follow a due process while made these two tables. Because of these tables not only the student but the Faculty members are under stress that what will happen with the future of the M.Phil 2nd year and Provisional Ph.D candidates. Dr. Baxi called it Show Cause Jurisprudence. Ayesha Kidwai, argued in “How do the new UGC regulations affects prospective students applying to JNU? Kidwai stated that due to this regulation the seats will be reduced drastically and in may center of JNU will not have a single seats of M.Phil/Ph.D. Due to this Regulation the admission policy will be affect as disaster for the JNU, it will be a blow on social justice, and the researcher advisory committee will curtail the academic freedom in the campus. We are living in an era where the State not follows its fundamental obligation to secure justice social-economic and political to its citizen. Education is the only means through which every sections of the society will get the opportunity to come with mains streams, but the State’s intention is opposite at all. On the one hand the State and the UGC is violating the Constitutional principles as they can, and on the other hand the judiciary adopt hands off approach in the matter relating UGC’s Notifications. The judiciary should take into consideration that whether the UGC’s Notification is democratic or not? The scope of public university is shrinking day by day through various tactics of the State and the future of the higher education comes at the edge. It was not possible for anyone to get admission in any public or private university without English but it’s the unique feature of the JNU to allow all sections of the society irrespective of any caste, class, race, gender, religion, language, place of birth and ethnicity.The entire academic community are living under stressed due to UGC’s Notification and JNU Administration’s arbitrary and undemocratic decision. In the academic session 2015-16 the total number of 24,171 Ph.D degrees awarded and during 2014-2015 academic year the total 21,830 Ph.D degree were awarded in the country. Due to reduction of seats or intake by the UGC’s 2016 regulation, the question arises on the conflict of lawsof the various provisions i.e. the constitutionally validity of the social justice ensured in Indian Constitution, the JNU Act of 1966, UGC 2009 and 2016 regulation, andthe Central Educational Institutions (Reservation in Admission) Act 2006. The UGC 2016 regulation’s impact entire universities and others institutions but the strong voice raised against this draconian regulation by few universities like JNU and Jadvapur University. Some M.Phil and Ph.D scholars of JNU have moved the Delhi High Court for seeking justice and the whole JNU community is waiting for a positive response from the Court. Deepak Kumar is a M.Phil Scholar at Centre for the Study of Law and Governance, JNU, New Delhi.